The Leica RRC350 Combined Laser Receiver and Remote Control is a dual purpose device for outdoor leveling. It easily picks up the laser beam over long distances or in difficult lighting conditions and can also be used to remotely operate the rotary laser level up to 100 feet away. It features two selectable accuracy bands, fine and course, and five display channels for various job requirements. 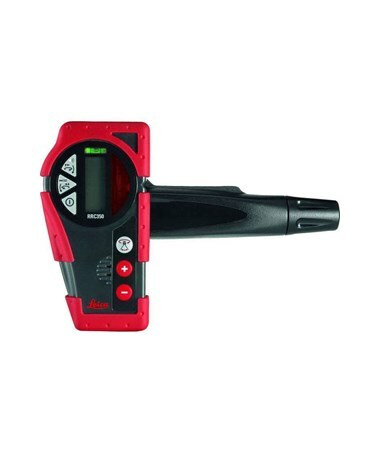 Its visual and audio signals help construction professionals find the laser beam quickly and easily. 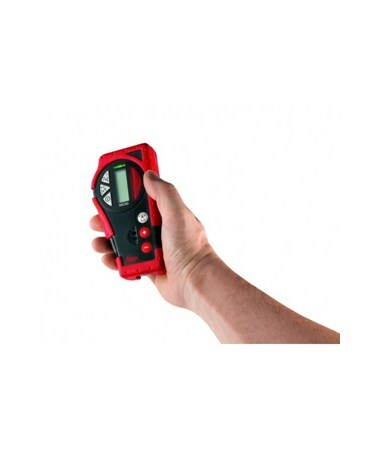 The RRC350’s remote function can only be used when the laser detection function is turned off. This can be switched on or off with two of the six-button keypad. The device’s beeper also emits an audible tone that indicates whether the laser beam is high, low or on-grade. 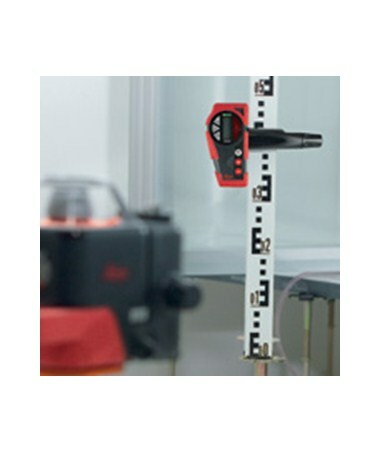 The RRC-350 can be attached magnetically to the ceiling grid or metal studs in poor visibility conditions and the rood clamp can be used to mount on various surveying rods for an extended scope of applications. This laser receiver and remote control combo device is made of durable materials. It has a robust case with rubber protective edges for use in harsh environments, such as construction sites and outdoor work sites. With the IP66 protection class, this unit is guaranteed to be dustproof and resistant to water splashes. 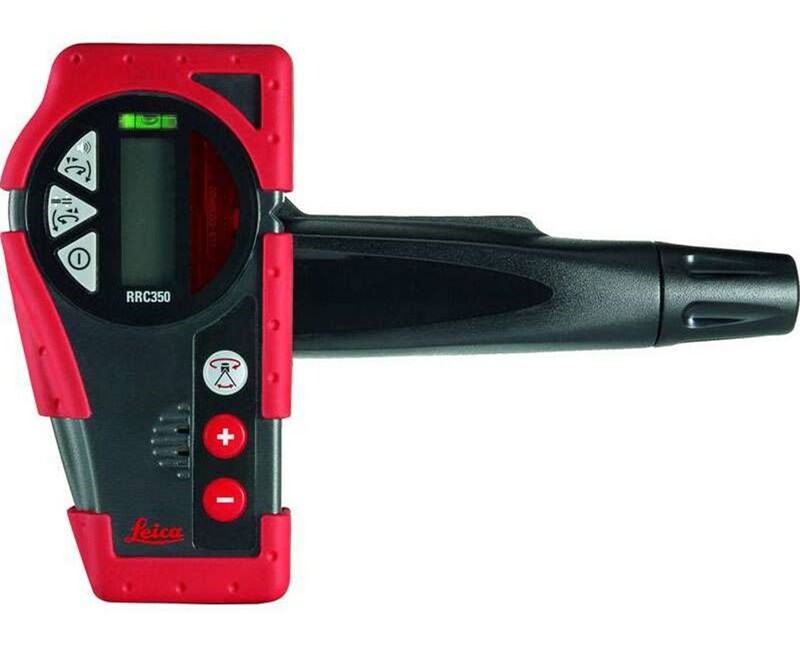 The Leica RRC350 Combined Laser Receiver and Remote Control is powered by a 9-volt type alkaline battery.